My husband made a yummy egg scramble for us this morning and I inhaled it without taking a picture! Apparently I only care to document what MY food looks like! Lunch was full of randoms again, and not all at the same time, so no photo. There was definitely a smoothie in there somewhere and I honestly can’t remember the rest…this is why I try to document on the day of, not the day later. 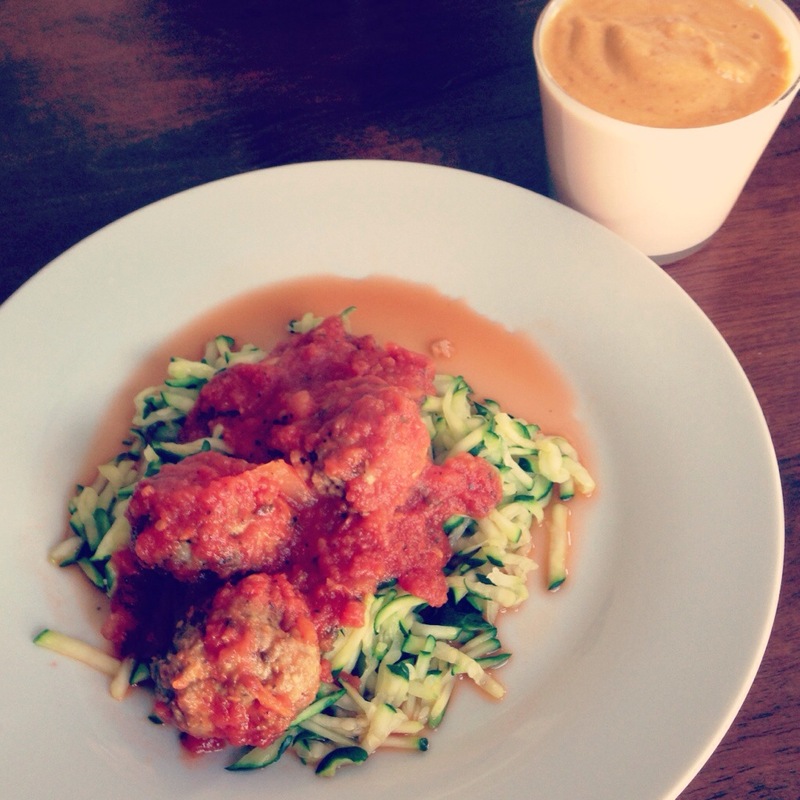 For dinner we had zoodles with meatballs and tomato sauce. I was skeptical. I don’t really like zucchini. More importantly, I LOVE pasta. It was amazing. My husband loved it too. Really, it was delicious and I didn’t really even miss the pasta! I’m feeling pretty awesome. I’m FINALLY NOT BLOATED, have more energy, my skin looks better. I was never extremely acne prone, but would get zits here and there. My skin did look a little….dull. A few people have commented on how I look more “vibrant”. I’m feeling more vibrant. I have a TINY cold, and I think that the loads of healthy food and essential oils are keeping it at bay. Excited to continue on! !